Posted on Tuesday, July 25th, 2017 at 10:26 am. Pictured above are Catherines mother who accepted the award on behalf of her daughter, along with President Sharon from sponsoring Kenilworth club, President Jan and Immediate Past president Su. Catherine is a self funded GOLD (guiding Overseas Linked with Development), volunteer who was chosen via an intensive selection process from Guiders throughtout the UK. Through the GOLD project, Catherine is committed to to helping girls in Oman enjoy the same freedoms to express themselves as their UK counterparts. 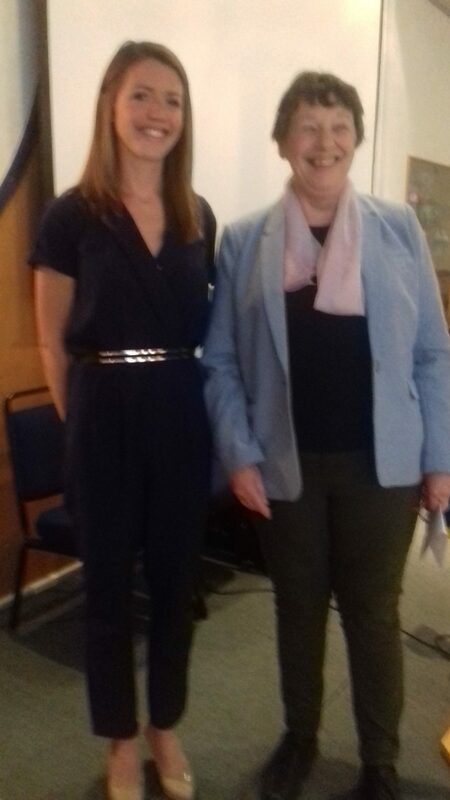 Coventry Club presented a Support Services manager, working in a refuge, who helps support women and children who are fleeing and experiencing domestic violence and abuse. Kidderminster Club presented a candidate who is CEO of the Nightstop Charity. This charity provides emergency 3 night accommodation for homeless young people through a range of support services. 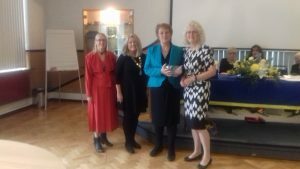 Rugby Club presented a candidate who raises awareness of organ donation (particularly childhood transplantation), supporting families struggling with a child in hospital post transplant. 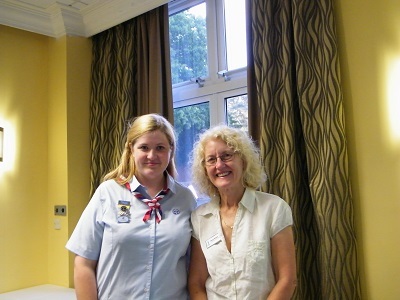 Solihull Club presented a candidate who is a volunteer of 12 years standing at the Brest Friends Solihull charity. She is devoted to helping women with breast cancer receive emotional and practical support. Stourbridge Club presented a candidate who is Head of Fundraising and Lottery at the Mary Stevens Hospice. She helps ensure sufficient funds are raised to provide the highest level of care to patients and their families.